A gorgeous example of trendy marble, blue, and brown with design good enough to stand the test of time. 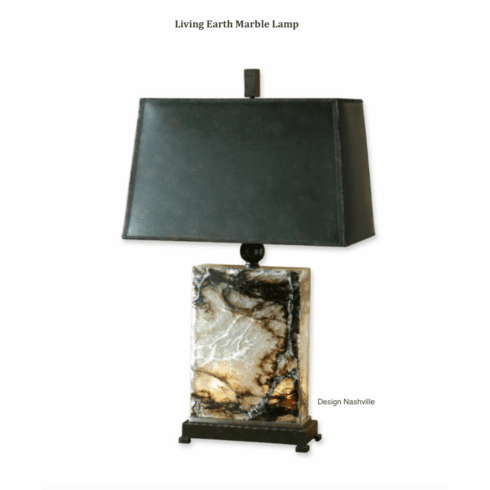 This table lamp is made of black, brown and ivory marble with bronze metal detail and a night light inside the base. The bronzed faux leather shade is a rectangle hardback.